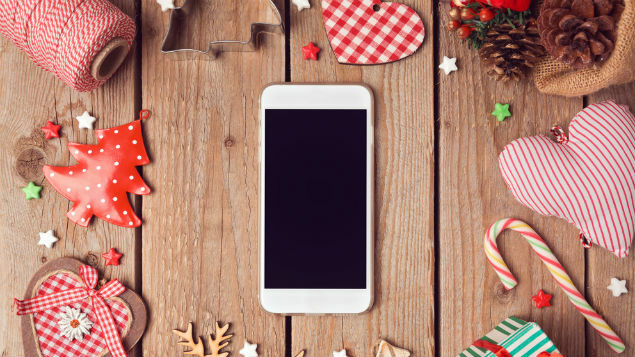 How many of us will really switch off this Christmas (and that means turning off the smartphone, not just taking time out at home)? Flexible working should not mean “always on” working, argues Mandy Rutter. There was great interest when it was reported in 2014 that France was going to ban work emails after 6pm. The story turned out to be untrue – it was just guidance from trade unions – but it serves to show how important the issue has become. Since then, there has been little sign of any response from HR in terms of policies or clarity on what is expected. “Always on” working is a part of a new flexible working era that is more difficult to deal with, a grey area with implications for people that have yet to be fully understood or acted on. The rise of wearable technology is not helping. The average smartphone user already unlocks their phone 110 times a day, a statistic that is certain to increase once our mobile devices become physically attached. Far too many workers have become “anxiously attached’ to their mobiles, constantly checking for messages. As a result, they end up responding to unimportant or non-urgent tasks, instead of allowing themselves to detach from work for long enough to recharge and regain a sense of perspective. The fact is, our psychological ability to differentiate between when we need to be immersed and connected and when we need to disengage has not kept pace with technological advancements. An always on culture is inevitably a challenge to the psychological health of employees, and the principle of flexible working has risks that can lead to unforeseen problems for performance and productivity. Psychological health at work is as important to performance as physical health and technical skills. There are some basic elements to a working environment that support psychological health: providing positive feedback; opportunities for praise and for learning and meaningful connections; and interaction with other employees. Most importantly, firms need to be actively helping employees to become more resilient, so that they are better able to deal with any problems effectively and take more responsibility for their own progress. Becoming more resilient is not about getting “tough”, but understanding your responses to difficult situations and developing confidence in dealing with them. However, it would be misleading to generalise. Many people can easily dip in and out of work emails when they need to without any lingering sense of unease. There are many times when I have been incredibly grateful for the technology that allows me to work flexibly or leave work on time and have dinner with my family, only to pick up something again later in the evening. And why not even stay in touch by email and messages on holiday – if what is happening at work, the project or activity, is important enough to you and to your employer and it does not interfere with plans? The essential issue is the lack of clarity from HR. It is time for employers to stand up and say what is, and is not, expected from staff, both out-of-hours and while on holidays. It could be argued that, since the advent of a mobile digital culture, organisations have “got away with” being vague about mobile contact and availability. HR has ducked the issue of whether or not checking a smartphone for messages is necessary, and employers are benefiting from the extra time and effort without recognising the contribution that employees are making. Managers are not considering the impact that there might be on employees’ psychological wellbeing in the longer term as they twitch from one buzzing message to the next. Employers need to do more to monitor the extent to which technology-related health problems, such as email addiction, already exist across the workforce. They should play their part in educating employees about the potentially addictive side-effects of using wearable technology for work, by creating resources and development workshops to alert staff to the risks and ways to reduce them. Rather than allowing negative working patterns to evolve of their own accord, employers should also strive to outline the capacity in which email is to be used and advise on suitable homeworking patterns and weekend access. Instead of trying to prescribe exact working hours, which would require swimming against the strong tide of technological advancement, employers would be better advised to put forward various options for what healthy technology use looks like, so that employees can select the approach that works best for them. Nothing needs to be contracted or made formal, what is required is simple guidance on what is reasonable. Firms should also be discouraging senior managers from showing off. Do not send emails at 11pm; save it and send it in the morning. If there is going to be a blurring of home and work life through mobile communications, then it needs to be done consciously and explicitly, involving real choices by individual employees, sanctioned by employers, and not something that has happened by accident, due to a messy shift in culture. After all, the worst outcome for employers and work in general would be for the concept and principles of flexible working to be discredited because of a weary suspicion over what it really means – of “flex” just meaning being tied psychologically and emotionally to a mobile device. Mandy Rutter is head of resilience services and trauma management at psychological wellbeing consultancy Validium.